Cures both Physical and Magical Ailments. Fills the Over Limit gauge fully once. A medicinal herb. Increases Max HP by 10. A medicinal herb. Increases Max HP by 30. A medicinal herb. Increases Max TP by 10. A medicinal herb. Increases Max TP by 30. A medicinal herb. Increases P. ATK by 1. A medicinal herb. Increases P. ATK by 3. A medicinal herb. Increases P. DEF by 1. A medicinal herb. Increases P. DEF by 3. A medicinal herb. Increases M. ATK by 1. A medicinal herb. Increases M. ATK by 3. A medicinal herb. Increases M. DEF by 1. A medicinal herb. Increases M. DEF by 3. A medicinal herb. Increases AGL by 1. A medicinal herb. Increases AGL by 3. A mysterious lens that reveals enemy details. A simple mat used when camping outdoors. Restores 25% of Max HP and TP. 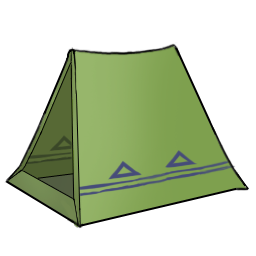 A simple tent for camping outdoors. Restores 50% of Max HP and TP. 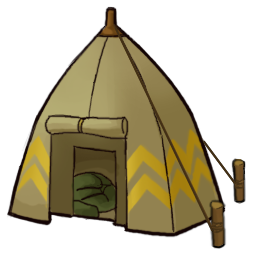 An all-purpose heavy duty tent. Restores 75% of Max HP and TP. A cozy barrier that can block out wind and rain. Fully restores HP and TP in luxury and peace.